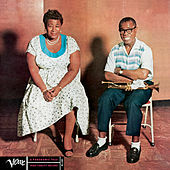 Who knows why Ella's distinctly smooth and Louis' famously rough vocal styles mesh together so perfectly -- but they do. This is the single greatest duets album of all time, and it still has the power to make you fall in love with the entire world. Pitch-perfect support from the Oscar Peterson Trio with Buddy Rich guesting on drums.